Oh my that looks SOO tasty. 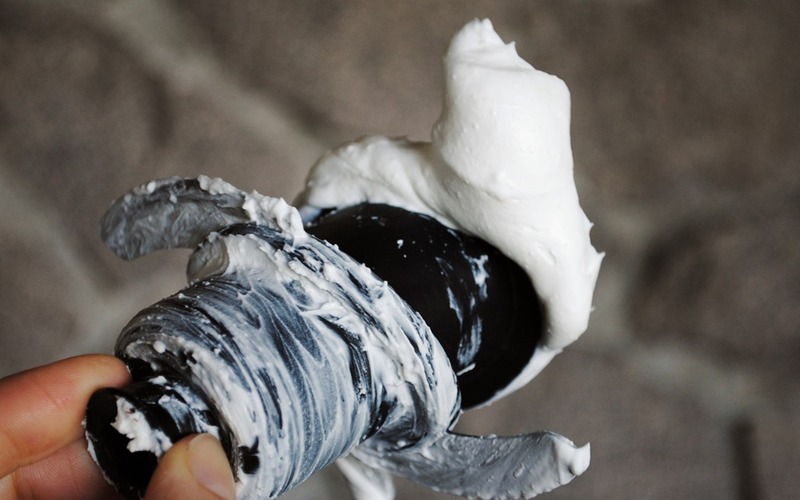 How long does it stay whipped anyway? Does it get chunky again if you refrigerate again? Or does it get limp if you keep it out? 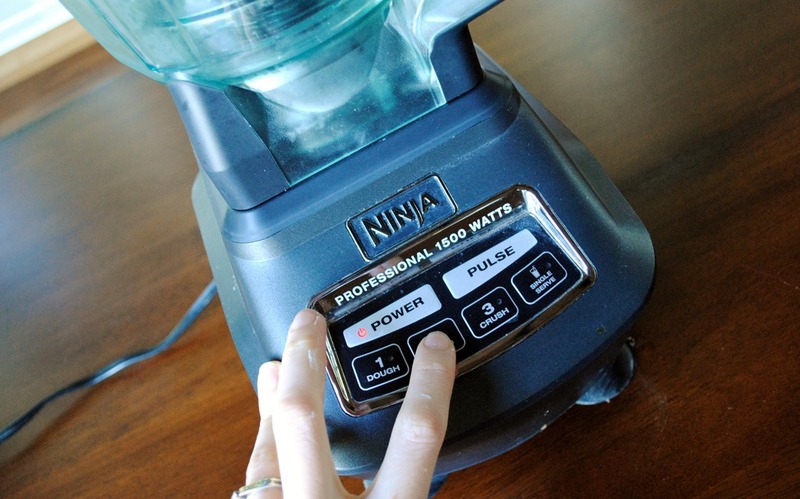 Also since I don’t have a ninja, would you think my blender or food processor would work better? Believe it or not, it stayed whipped all week! It was SO good. I would do this in your FP, not blender. I don’t know if it will spin fast enough, but most definitely worth a try. Yum-yum! ALL week? NO way! Wow, that is fabulous! 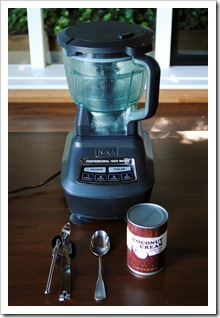 Do you think my KA mixer would do a better job if you need speed? 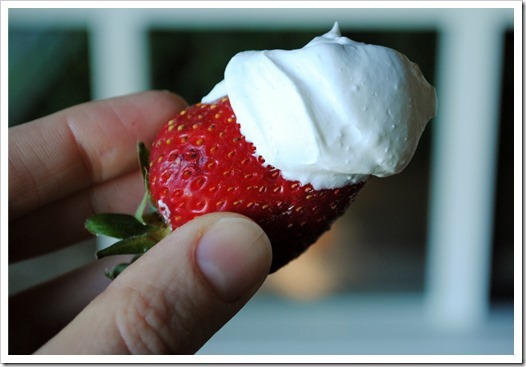 Just like real whipped cream? hmm, that might work better, on a real high speed with the whip attachment? Yes, definitely, it will work great!! looks like I can use the kitchenaid. cool. I think I’m having company on sunday, and this will be really cool to try. This may be a stupid question but I can’t tell by the pics. Are we using the metal blade or the dough blade for this? Not a stupid question! This uses the metal blade. Enjoy! well, this did not work out. bummer 🙁 I need to get whatever you had, the canned coconut cream. but our store does not carry it and the closest Trader Joes is 45 minutes away and closed. Party is tomorrow. 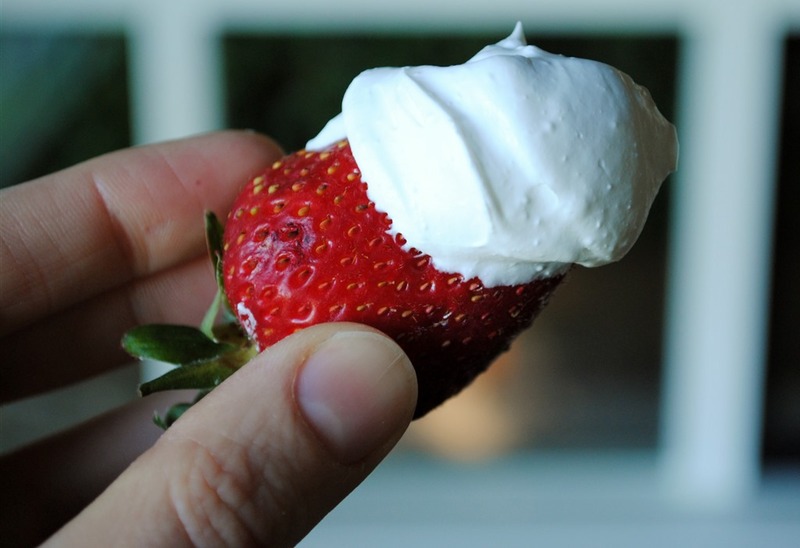 Any other ideas for dairy free sugar free whipped topping? Rats, that is too bad! 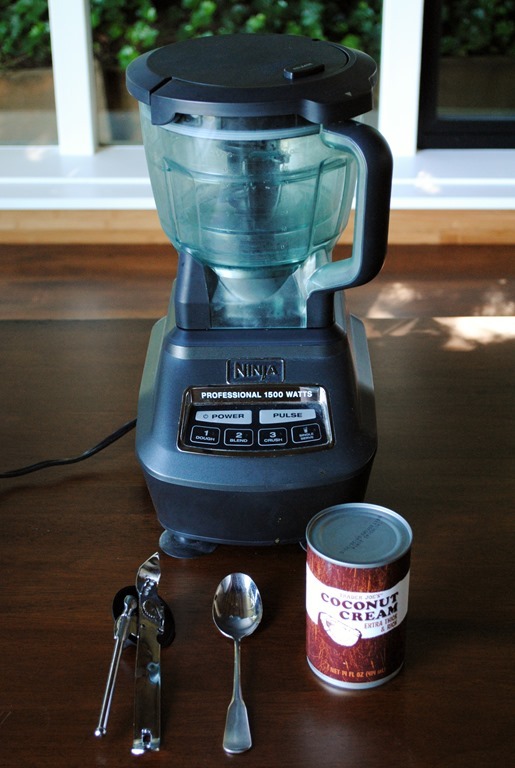 It definitely has to be coconut cream, which comes out pretty much solid from the can and can be whipped up. Do you have a Whole Foods by chance? They should also have it in the aisle with the Thai/Asian cooking supplies. An Asian food store would likely also have it. I am wracking my brain for other ideas for you but coming up dry. 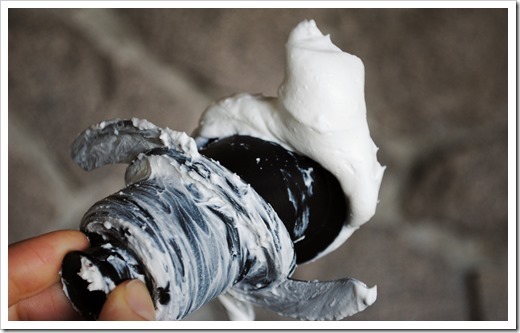 You may want to try Pinterest for some ideas if you haven’t! 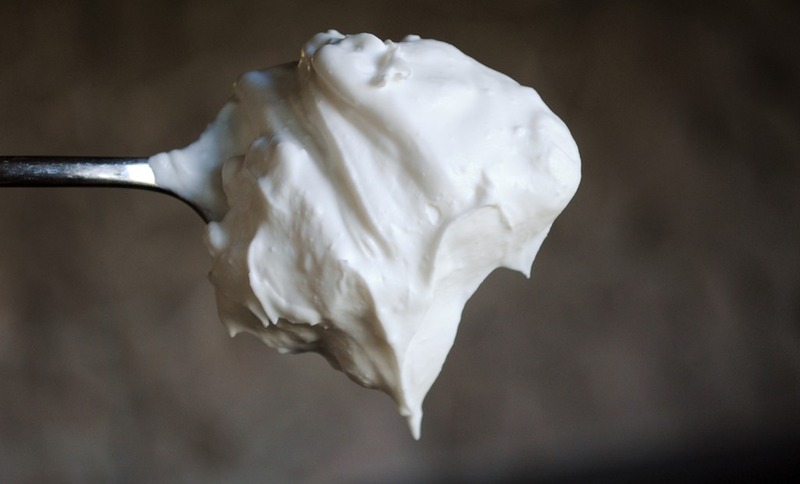 One thought I had was to make a vegan cream cheese frosting, but, I think you would have to add sugar, or at least Stevia. 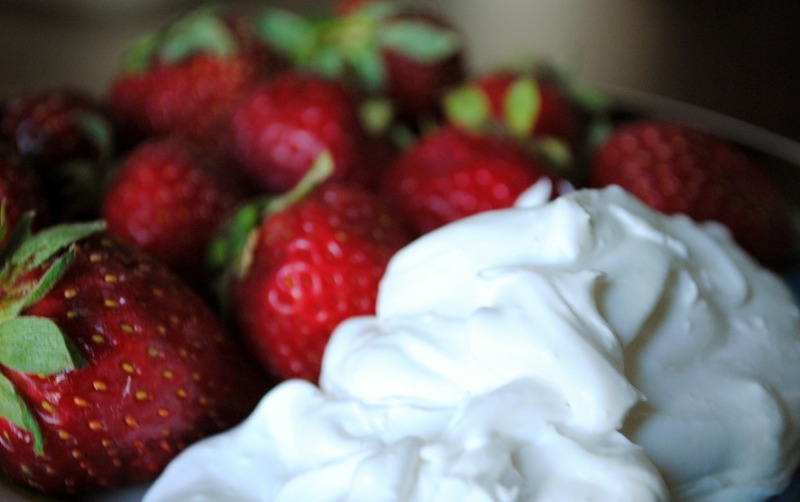 You would also need a Trader Joe’s or Whole Foods to get the vegan cream cheese. 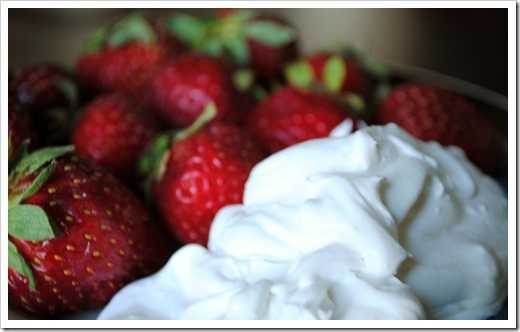 Added peanut butter and agave for a yummy mousse! Have a newer ninja and gonna try it with the plastic dough paddle and see if it turns out even fluffier! Jennifer, that is a great idea! You could probably also do a chocolate version with cocoa or cacao! Fantastic! Your tips were spot on…chilling blades was a valuable key to the “whip”. 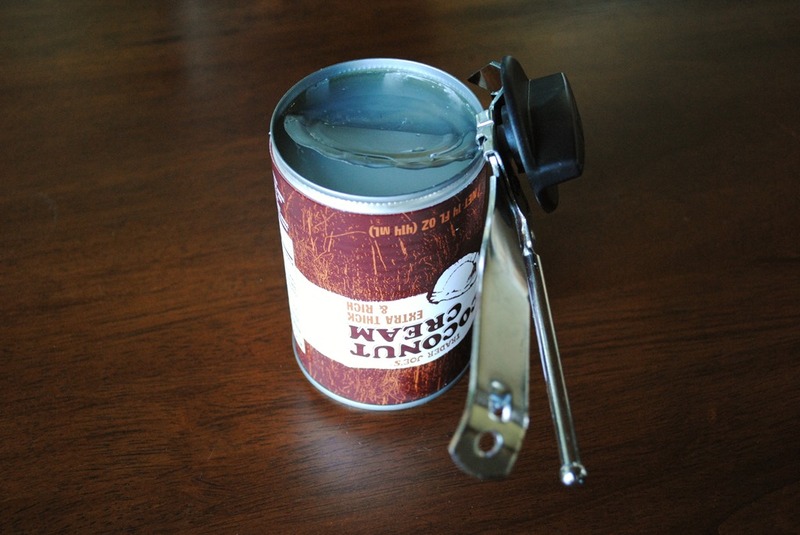 Trader joes coconut canned product released very little liquid & it had been in the fridge a couple of days undisturbed. Good whip with vanilla & liquid stevia. Thanks Angela! 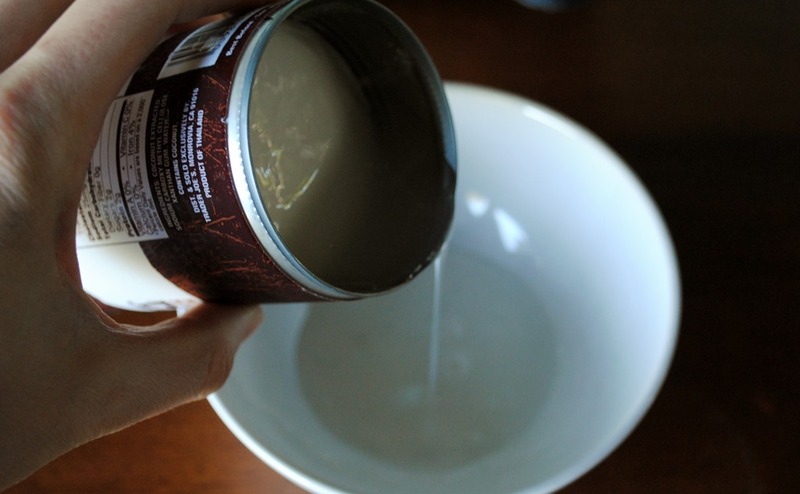 If you can find a good brand of full fat coconut milk (try your local Asian market if you have one), the “cream” in the coconut milk does the same thing. Just turn the can upside down and refrigerate over night. 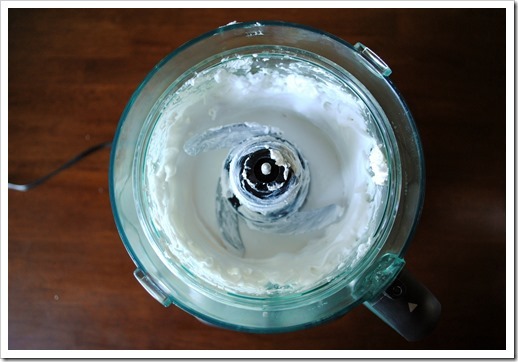 Again, when you want to make the whipped “cream”, drain off the coconut milk and what will be left is the coconut cream. The amount left will depend on the quality of the coconut milk you purchased. I have found that Chaokah Chaokoh Coconut Milk is the best. The cheaper brands or name brands like “taste of thai” don’t have enough “cream” to do you much good. 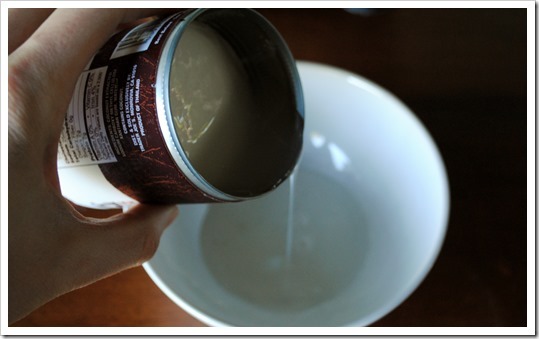 One way to test is to gently shake a can of coconut milk. If it sounds really sloshing, there’s not much “cream” in the can. If you barely hear sloshing, that’s a good thing! I think they use coconut cream (in a can) for pina coladas. If anyone can’t find it – it may be in some liquor stores or in a drink mixing section of a supermarket. 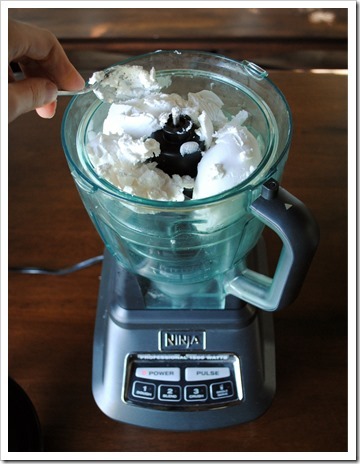 There’s a solid coconut cream (in a box) that’s more like lard – that’s a different kind of coconut. They sell it in the Caribbean stores around where I live. 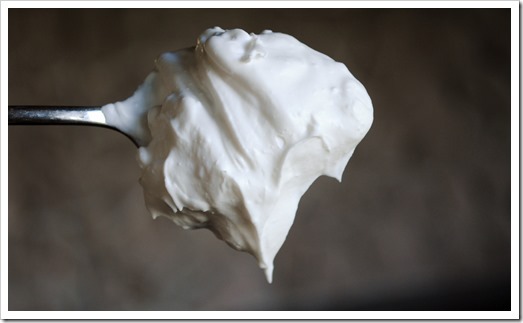 Might be fun to try mixing the whipped coconut half & half with a cashew cream recipe… Probably fattening as all get out – lol. THIS IS AWESOME!!! 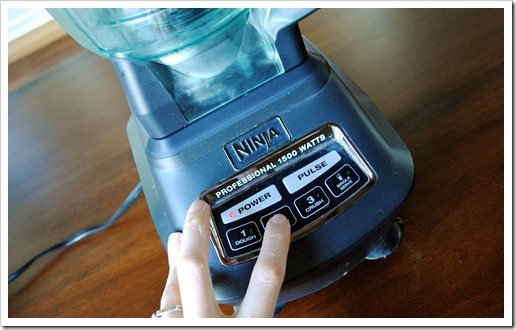 I just purchased the Ninja Mega Kitchen System & am looking for recipes that are grain, gluten & dairy free. 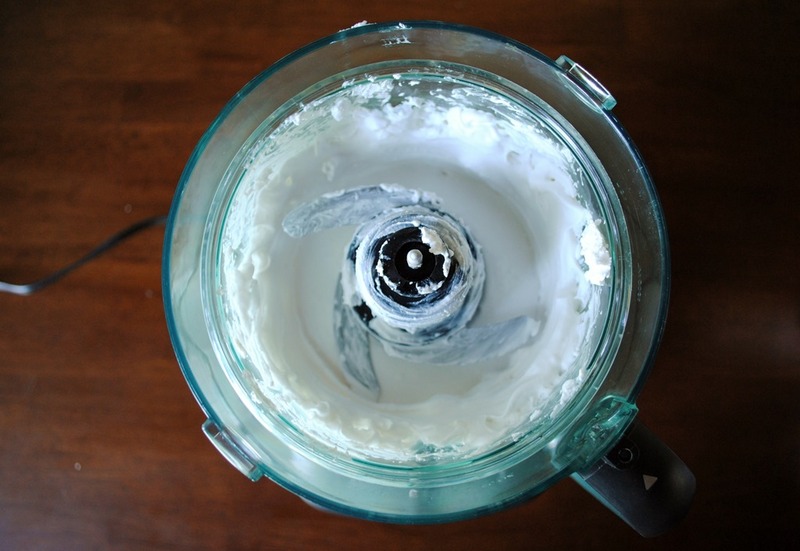 I’ve had a recipe for the coconut cream for a while now, but it NEVER came out worth a darn…. so I’m SUPER excited to know my Ninja will do the job!!! Glad to help – hope it works out for you Jessica! How many cupcakes would you estimate I could top with this. Also, I’d imagine 1 batch should cover a 4″ cake?